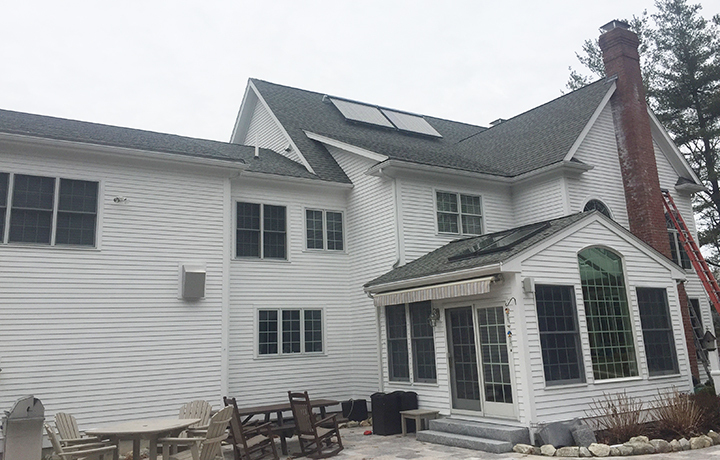 Turnkey roof solar hot water system flush mounted on the south facing roof. High temp vinyl jacketed insulation was used on all exterior pipe. System is drain back using propylene glycol for freeze protection. A new solar tank was used as a pre-heat to the existing water heater. Solar differential controller operates the system and a web based monitor is used to quantify production and aid in maintenance.